The Contract for Difference, in short CFD, is a financial instrument that many online brokers offer for trading. There are a number of advantages to trading CFDs and as in the case of anything else in life there are risks too. If you have decided to trade CFDs, the next step you have to take is choosing a suitable broker. In this article, we will highlight the various aspects that you should consider so that you are able to choose the right broker to work with. The first and foremost step is finding out whether the CFD broker you are planning to work with is regulated by the Monetary Authority of Singapore (MAS) or not. This agency is responsible for regulating the financial markets in the country. A broker that wants to set up operations in Singapore must have a Capital Markets Service License, which is issued by the MAS. The agency also acts as the central bank of Singapore. Other responsibilities of MAS include managing statutes related to insurance, securities, money, banking, currency issuance, and, in general, the financial sector. Therefore, it is important that you carry out the required due diligence checks, as you do when dealing any other financial institution, to confirm that the CFD broker you are planning to partner with has the license to operate in the country. A CFD broker in Singapore that is regulated by the MAS would comply with strict requirements such as keeping your funds in a segregated trust account, which is administered by a third party custodian. If the broker is facing bankruptcy, the funds kept in segregated trust accounts would be legally protected so that the broker cannot withdraw money from these accounts to pay off the company’s outstanding liabilities. The second aspect is the type of CFD broker that you want to work with. You must decide whether you want to partner with a Direct Market Access (DMA) provider or Market Maker (MM). Some brokers provide you with both the options, while some are either MM or DMA type of brokers. There are pros as well as cons in working with either category of brokers and it is entirely up to you to decide as to which model suits you the best. Market Makers charge lower commissions. The capital required to start trading with such brokers is also lower. Further, a MM broker offers a larger variety of indices and stocks as compared to DMA brokers. However, issues related to conflict of interest can arise when working with MM because these brokers always trade against you so as to make money through the spread (difference between ‘Ask’ and ‘Bid’ prices). On the other hand, the DMA type of brokers send your orders directly to the order book. 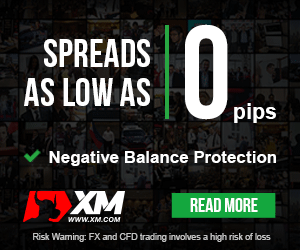 As these brokers do not make money from the spread, they charge commissions. Additionally, they ask for a larger capital outlay in order to start trading CFDs. Typically, CFD trading involves leverage. Therefore, you must find out the margin requirements stipulated by the broker for various CFD products. As the market is very competitive, the margin requirements are generally the same in the case of all providers. 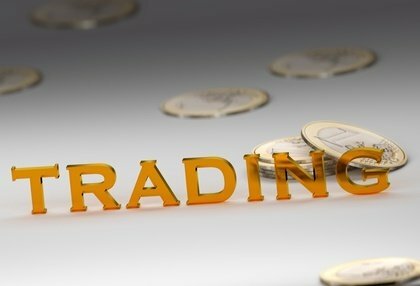 Different brokers offer different CFD products for trading and it is, therefore, important that you check whether the broker’s platform offers the CFD instrument that your prefer trade in. Typically, most DMA providers offer CFD products related to the local and regional markets. They may also provide a few other major international products. On the other hand MM type brokers allow trading of CFDs in different markets around the world. When it comes to asset types, some brokers offer only a limited number of commodities CFDs. Sometimes they don’t offer commodity CFDs at all. You must understand that non availability of variety is not a big issue if the broker offers CFD products that you are familiar or comfortable with. It is not worth choosing a broker that offers a large selection of products if you are not going to trade the bulk of what offer to you. The order types offered on a platform are an important aspect to be considered because you need to manage the risk involved when trading CFDs. You must find out if the broker you are planning to partner with is offering features such as guaranteed stops which are essential for keeping losses under control when the market is experiencing volatility. Some traders may prefer options such as One Cancels Other (OCO) or Trailing Stops. In order to increase your chances of not only doing well but also earning profits in CFD trading, it is important that you are provided with access to as much resources and information as possible so that you are in a position to analyze your trades better. Some brokers provide you with tools that help you to do the same well. These include charts required for carrying out technical analysis and pattern recognition, and even economic and general news updates to help you do in-depth research. From the above discussion, you would have understood that you need to carefully analyze a number of aspects prior to choosing the best CFD trading brokers in Singapore that best suits your specific needs. You cannot blindly go by other people’s recommendations. This is because a broker that is suitable for someone else need not necessarily be the right one for you. In fact, you may even have to use a couple of brokers since it is often difficult to find one platform that offers all the features that you are looking for. Finally, it is a good idea to shortlist a few CFD brokers operating in Singapore based on the various aspects discussed above and then do a thorough background check on each one of them prior to choosing one that suits your needs the best.